This is the best cleanser I've ever used! Great for my dry skin and helps prevent breakouts for me too! I notice a difference within a day! Clears my skin up like no other. I wish I found this cleanser sooner! Fantastic price on RY aswell, so very affordable. It's a very generous size and will last you ages being 200ml, only need a small amount for a good lather, removes makeup well and I feel my skin is clearer and skin tone more even when I use this.... 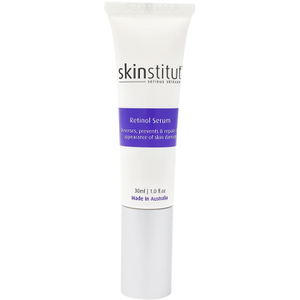 I love all the skinstitut products, if you are looking for a new product range try these! 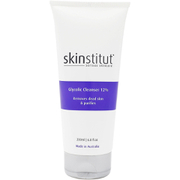 Love this cleanser, it lasts for ages, doesn't cause breakouts OR dryness and comes it at a nice price. Only downside is the sulphates Skinstitut use. But everything else gets a big tick! I like the gentle feel of the cleanser, and the lack of scent is nice, however I feel like it doesn't leave my skin as clean as it should. Will continue to use as see if it improves. Also, my skin broke out during first week of use, however this happens with all new products I use and goes away after 7 - 10 days once skin adjusts. This product makes my skin feel amazing and is soothing and gentle. It smells great and my skin looks incredible. Really nice cleanser that removes my makeup and leaves my face feeling soft. Only need to use a little bit of product.